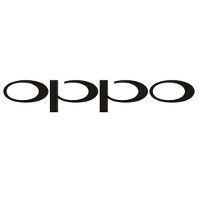 A document discovered in Malaysia indicaes that the Oppo 3006 has been certified in the country by SIRIM. That is the organization owned by the Malaysian government that is responsible for maintaining standards and quality in the country. Information about this specific model is sketchy, but we do know that it will support 4G LTE, Wi-Fi and Bluetooth connectivity, and provide dual SIM capabilities. China's TENAA recently certified the Oppo 3005 and Oppo 3007, and we have a hard time believing that the 3006 would stray far from those two models. Based on the odd numbered handsets, we would expect the Oppo 3006 to carry a 4.7-inch screen with a resolution of 720 x 1280. A 1.2GHz processor could be driving the device, with 1GB of RAM included. Native storage will most likely amount to 8GB, and those requiring more memory will be able to use an included microSD slot to expand their storage capacity. While the rear-facing camera is expected to weigh in at 8MP, the front-facing snapper will probably be the now obligatory 5MP "selfie" shooter. Oppo's ColorOS 2.0 UI is expected to run on top of Android 4.4.4. In the slideshow below, we've included images of the Oppo 3005 and Oppo 3007 so that you can have an idea what to expect from the Oppo 3006. Feel free to check it out anytime. Oppo has becoming a big smartphone company in the SEA market. true..i can say in Malaysia now, oppo's signboard and banners ads is everywhere.. Despite the whole "Chinese companies spying" thing I really wish some of these companies would be more widely or readily available on this side of the pond.